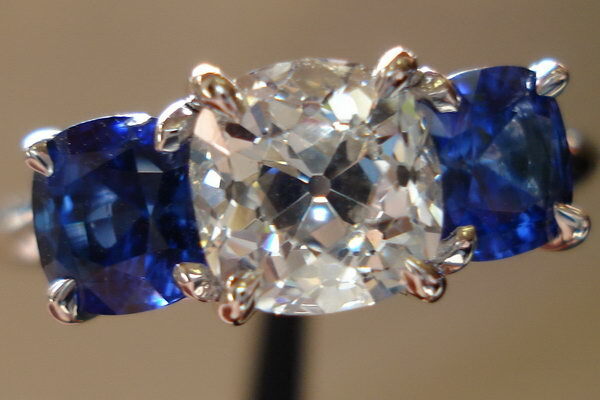 Here's an old mine diamond. Old mine diamonds were cut before the 1900 or so. 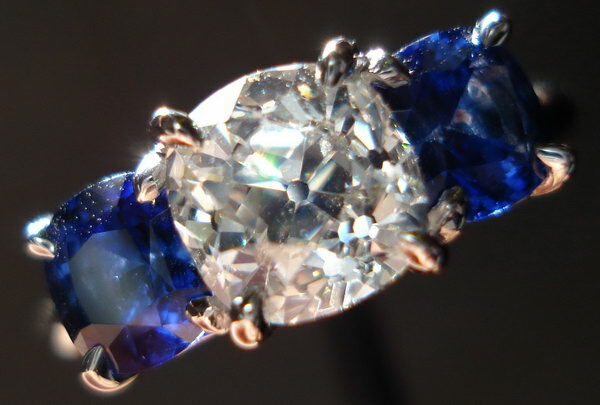 Part of the reason older diamonds look the way they do was the lack of technology. That's why the shape is "irregular". 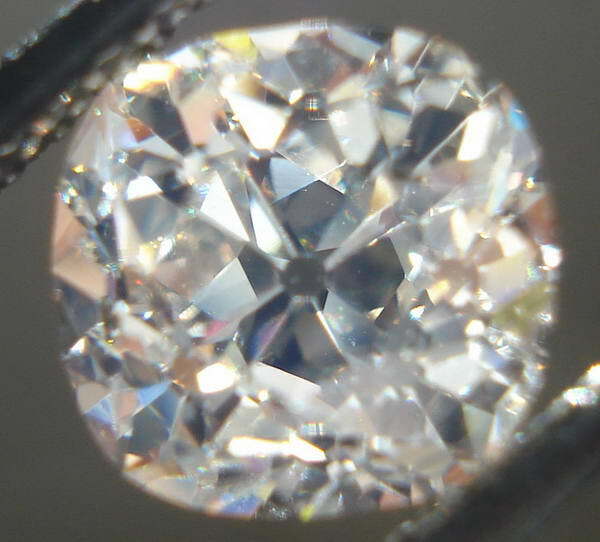 Modern technology is what allows cutters to cut round diamonds. Although we do believe that the stone was actually cut more than 100 years ago - we cannot guarantee that - as there is really no way to validate the cutting date. 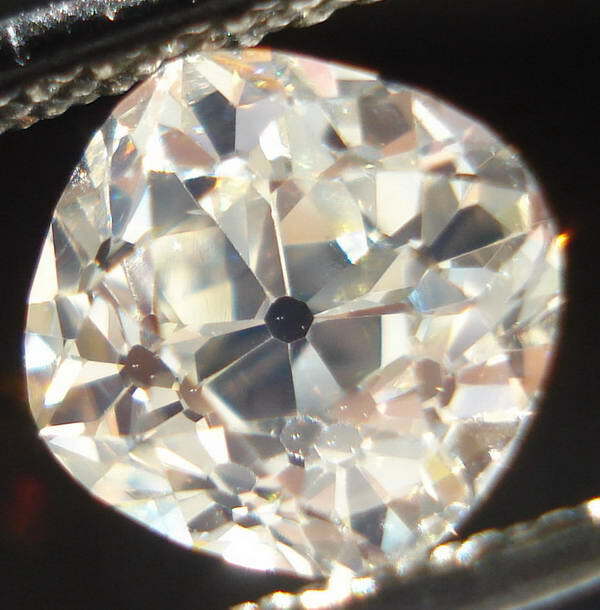 A diamond cutter in 1890 had no possibility of cutting a modern round brilliant - but modern cutters can replicate the older cuts. 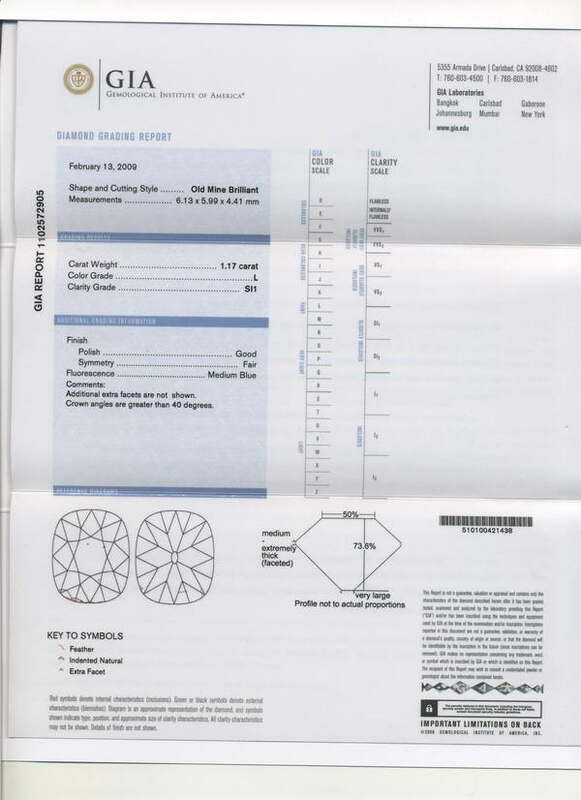 Many older cut diamonds show a lot of damage- surface abrasions etc. 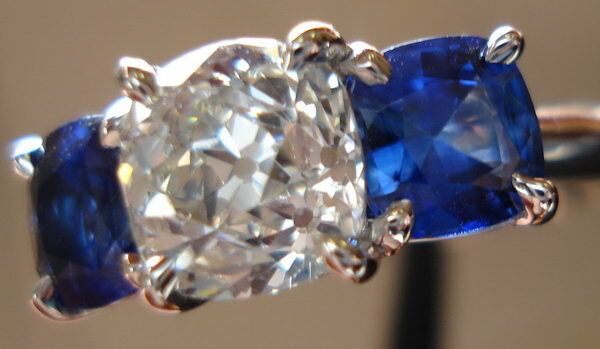 This particular stone is in perfect condition. The reason is that it's been totally cleaned up on the diamond cutting wheel. 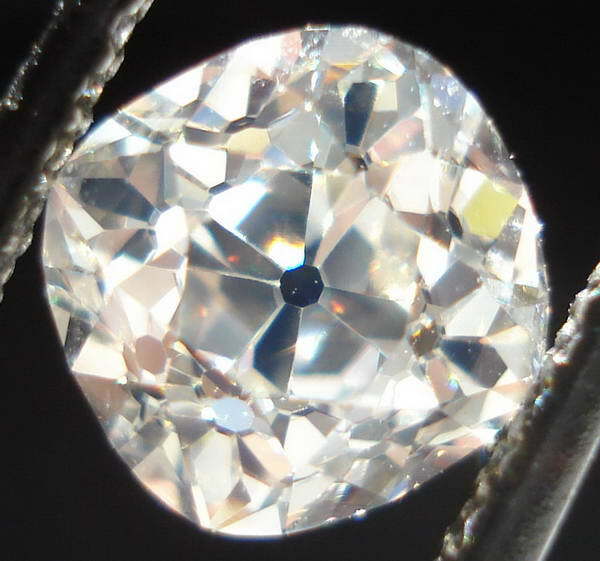 Every bit of surface abrasion is gone- and the girdle is faceted as if the stone were recently cut- a virtual brand new 100+ year old diamond. 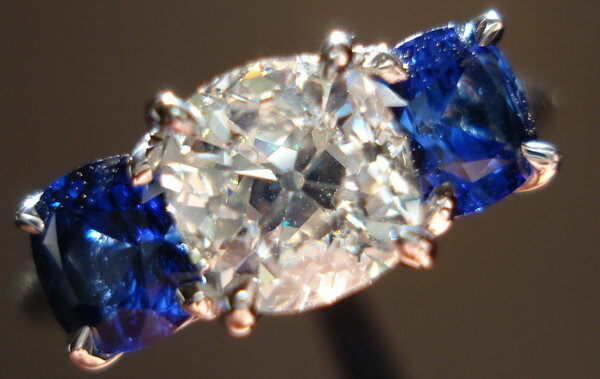 The cleaning up and re-polishing of the diamond gives it a completely revised old look- it's got a lot more sparkle than you'd expect from an old mine diamond.. 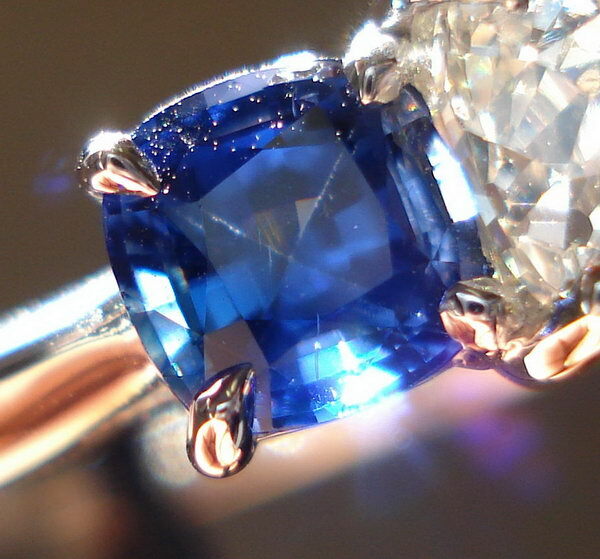 There's some Blue Fluorescence which also serves to light up the diamond. 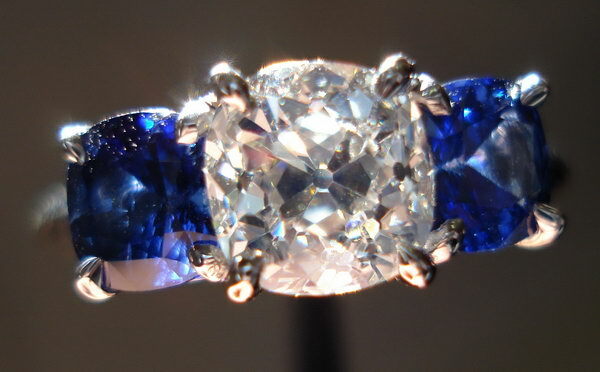 Such Fluorescence can be seen as a big plus in a stone like this. 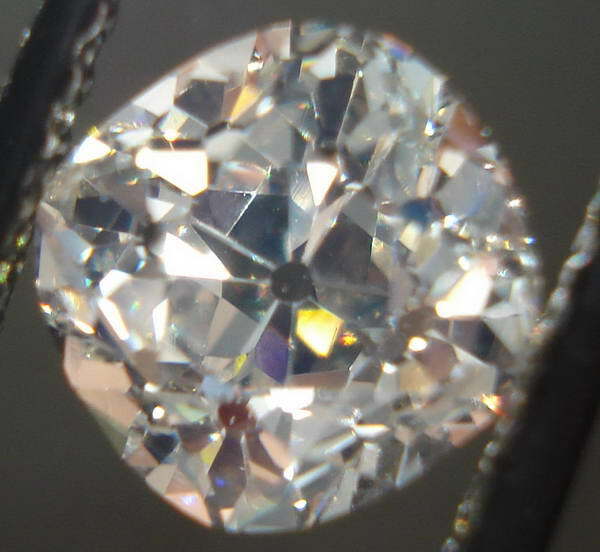 Clarity is not an issue on the stone- as you can't see any imperfection with the naked eye. 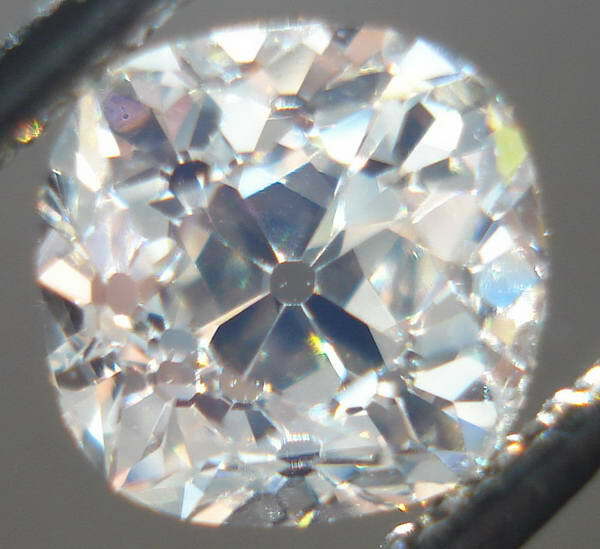 A lovely and unique diamond. 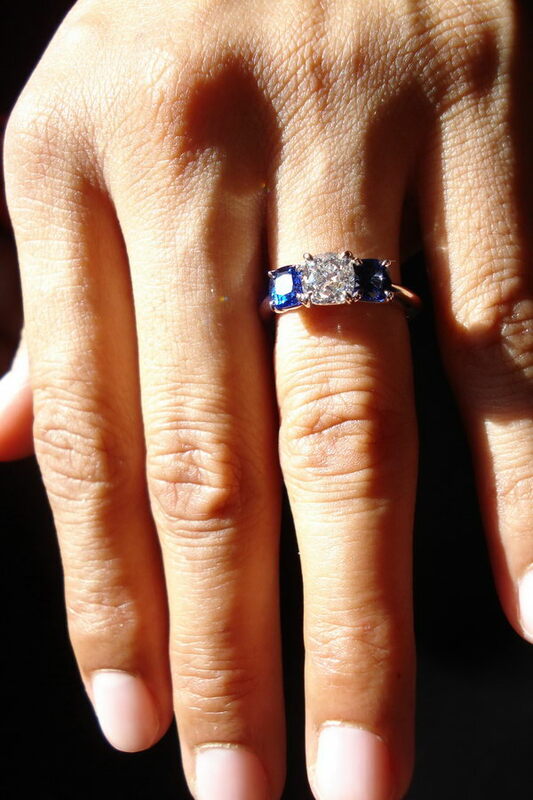 We are extremely pleased at how this ring came out. 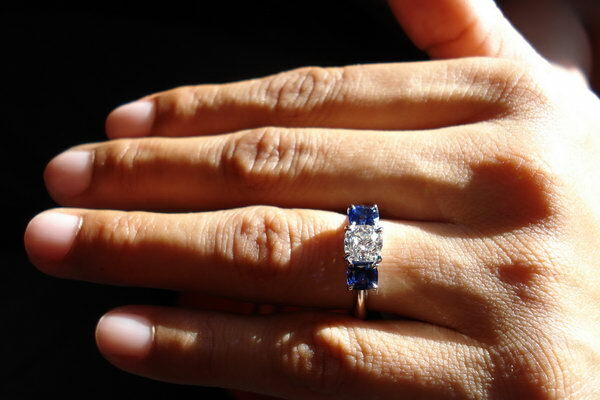 The sapphires play off the diamond in a wonderful way. The center has really come to life here. The design of the ring has antique sensibilities, while enjoying modern quality and manufacturing excellence. 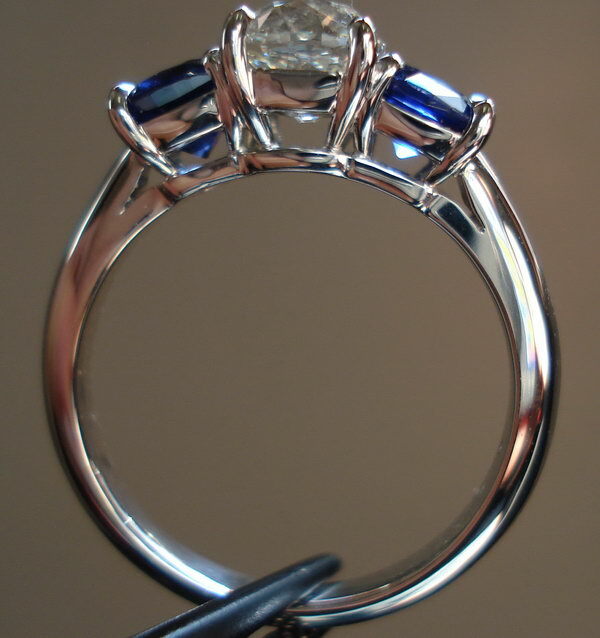 Given that the nature of the Old Mine Brilliant is asymmetrical, the factory did a remarkable job of producing a symmetrical ring. It's gorgeous.